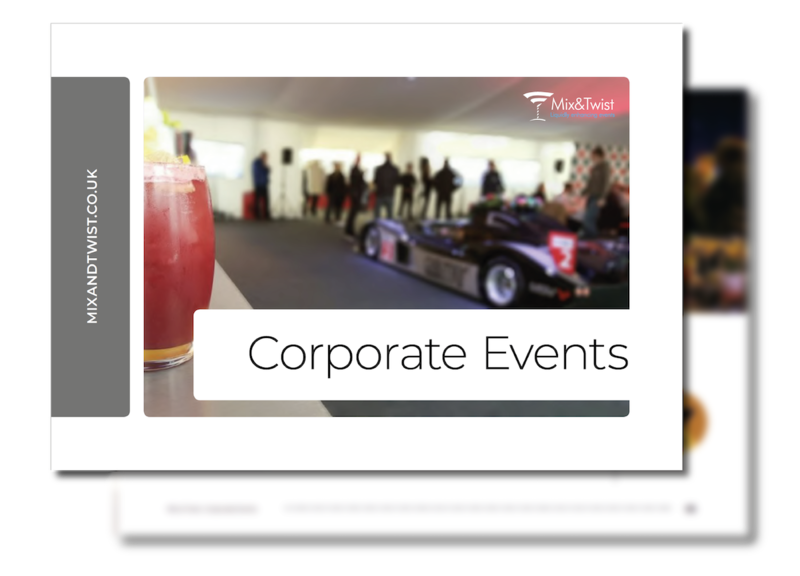 Whether you’re celebrating a recent workplace success, honouring a special occasion or simply want to say thank you for all the hard work everyone has put in, trust Mix & Twist to make your next staff event one to remember. Our staff party bar hire services are suitable for groups of all sizes. We can set up in your office at a time that suits you, cutting out the stress that comes with organising an event out of the workplace. 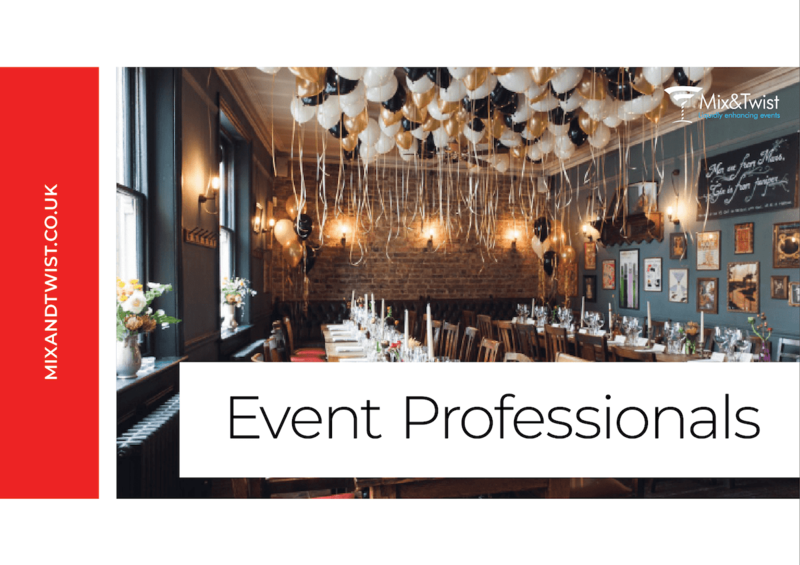 Throwing a staff party at the office can be a significantly cheaper option than hiring a venue, and we have a range of services available that promise to bring the fun directly to you. Choose from one of our standard cocktail or mocktail bar hire services, or try something different with an on-site tasting or cocktail making masterclass. Events like this are the perfect way to bring everyone together and break the ice. They work particularly well for larger teams, but can also be used to welcome new recruits or reward the successes of smaller departments. Choose one of our bespoke bar hire options and you’ll have the freedom to create a truly unique experience for your guests. Our bars can be personalised with your own branding, while there’s even the option to tailor your cocktail menu so that it fits with a wider theme. 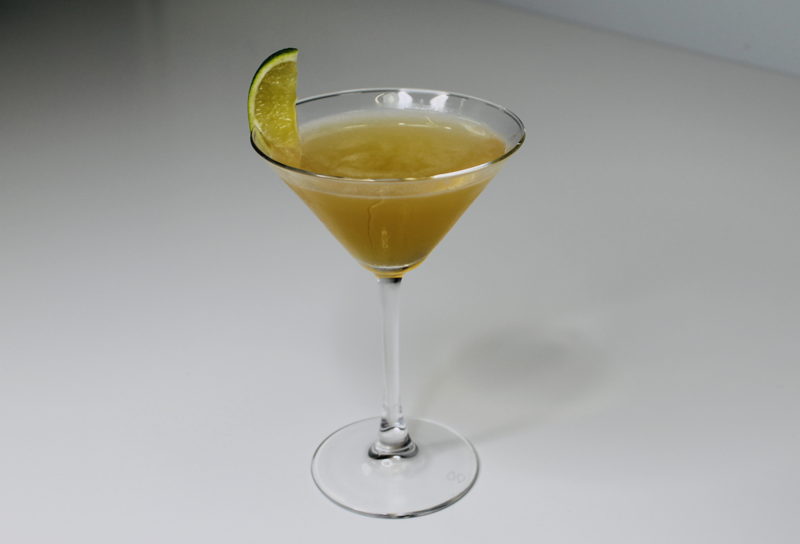 You’ll have a great selection of cocktails to choose from, ranging from the traditional to something a little more out-there. 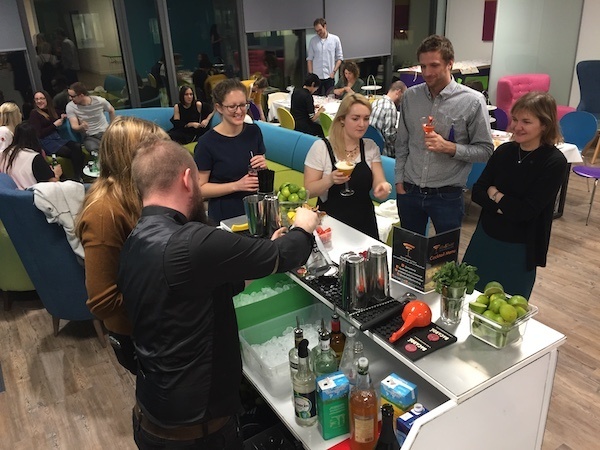 Hiring a cocktail bar for your next corporate event is also a great way to get people talking and break the ice. 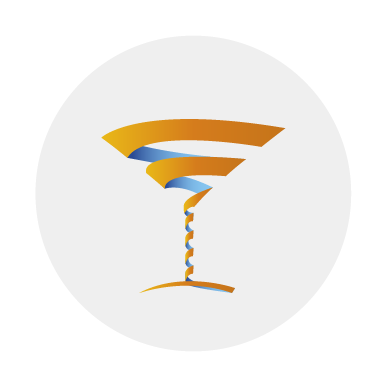 We have a full team of mixologists and flair bartenders on hand to entertain your guests and bring everyone together for a corporate event with a difference. We work with some of the most talented and highly skilled mixologists and bartenders around, who promise to keep each guest entertained during the event. That’s on top of serving a range of deliciously fresh cocktails or mocktails, all off which are expertly crafted with passion and showmanship. Our services are bespoke to you, meaning that from the first conversation we’re close on hand to ensure your staff party goes as planned. It’s this commitment to customer satisfaction that has enabled us to work with businesses across the FTSE 100, alongside the likes of McDonalds and Pretty Little Thing. We’re always refining our process and have a genuine passion for making events such as staff parties as special as can be. Get in touch with the team today to discover how our services can help to bring some fun and laughter to your next workplace event. We serve alot of cocktails at staff parties and we asked our bartenders what their favourite cocktail is that guests love the most. Introducing the Smoked Treacle. Check out our five star reviews on Google or see what everyone is saying about how we delivered WOW at their events. ‘We hired Mix & Twist to deliver cocktails at a company conference for 200 colleagues. Jack and Connor designed a bespoke cocktail menu to coincide with our brand colours.